A: Utica is the only company that separates property and casualty E&O from life and health E&O. Both Utica Mutual and Utica Life & Health are specifically geared toward that type of agency. Utica has been providing agent E&O coverage for more than 40 years and has nearly $2-billion dollars in assets. They continue to be one of the standard bearers in the industry, offering a superior product at a competitive price. "Call me...I am able to quote from several markets for hard-to-place or start-up programs." Carrier Ratings: Do You Have the Necessary Process in Place? Over the next few months, rating agencies such as A.M. Best, Demotech, S&P, etc., will be carefully dissecting the financials for nearly every insurance carrier in the marketplace. Based on these reviews, there is the potential that some carriers’ ratings could change. Does your agency have a process in place to manage this key issue? Every agency should have an established minimum financial rating for the carriers they do business with. While a minimum rating of “A-,” using the A.M Best rating approach, is common among agencies, how your E&O carrier addresses insolvency in the policy form should be a consideration. As rating agencies begin to publish their findings, it is vital for your agency to have a process to secure the most up-to-date information. There are many approaches. Based on the number of carriers your agency does business with, including carriers used by the wholesalers you do business with, identifying carriers’ ratings can be a time-consuming process. It is suggested that agencies look for an automated approach to secure this key information. A.M. Best has a tool that is part of its Key Rating Guide that provides email alerts on important information pertaining to various carriers. There is a fee for this service, but the information is timely. Visit www.ambest.com/sales/krg to learn more. The website includes a video demonstrating the guide’s capabilities and functionality to help determine if this approach is right for your agency. Not many carriers are downgraded each year. For example, an agency could have a carrier going from “A+” to “A.” While agency management may want to examine the situation more closely, there will probably not be any further action needed. But what would your agency process be if one of your carriers was downgraded from “A-” to “B”? If this happens, identify the clients with those carriers. If the carrier is used by a wholesaler, the wholesaler should be able to provide this information unless that information was captured in your agency system. It is then suggested to give those clients a written notice. The document should explain the situation advising the client that the coverage was placed with an insurance carrier that was recently downgraded. The explanation of the rating as provided by the rating agency should be included. For example, in the A.M. Best methodology, a “B” rating is defined as “Fair,” a “B+” is “Good,” etc. them to make an informed decision on whether they want to continue or discontinue coverage with the current carrier. Include language advising the client that the agency would be willing to remarket the account to a carrier with a higher rating. In addition, tell the client that there is no guarantee that the premium will be equal to or less than what the client is currently paying or that the coverage will be identical. The client must make a decision and communicate that decision in writing to the agency. In essence, what direction does the client want the agency to take? Some agencies have the choices noted on a document and require the client to check the box that indicates their decision. There may not be many carriers whose rating changes in 2017, but what if one of those carriers is one you do business with? Make sure you have the necessary process in place. The answer to the question posed in the headline is “not much." When errors and omissions (E&O) claims occur, the discovery process involves sworn statements provided in depositions or in the actual courtroom in the vast majority of the cases. When these statements are provided, the best scenario is that there is documentation, such as agency system notes, letters, emails, etc., to support them. However, all too often, statements are based on the memory of the people providing them. Using the scenario in which the producer alleges that the client declined a specific coverage from the proposal, which of the following has more credibility: the producer relies on his or her memory or a document that memorialized the decision to decline a specific coverage? A common phrase often used in litigation matters is “if it is not in the file, it didn’t happen.” It would be challenging to find a more accurate phrase when it comes to E&O loss prevention. When an E&O matter develops, both of the attorneys have a right to all of the various pieces of a file. This includes agency notes, e-mails, letters, the proposal, and more. The goal is that the documentation will tell a story that aids in the agency’s defense. Therefore, a lack of documentation significantly impacts that defense. The courts typically do not look favorably on a person’s use of their memory; it is referred to as “hearsay” and does not carry the same weight as actual written documentation. There is the definite possibility that testimony based on memory may be considered inadmissible. Be mindful about what you’re documenting as your email or agency notation handled today could be read by someone who is suing you tomorrow. The person doing the documenting should be the same person who had the conversation with the client. Discussions with carriers and intermediaries should be documented. While you believe that the underwriter will work with your agency in the event of a problem, what if that underwriter is no longer with the company when you need them? Declinations or rejections of coverage must be documented. To ensure that there is no misunderstanding about what the client said and what your agency heard, it is strongly suggested that there be written communication back to the client memorializing the discussion. You will be surprised about what the client will say after a loss when they are told there is no coverage! The agency should have written standards and procedures established that clearly delineate where documentation of various types should be stored in the agency system. For insurance producers, there should be concise documentation of producer–client meetings. This can be at the initial stage of the relationship or at the numerous times when the interaction occurs. Notes should be taken detailing the discussion and then memorialized not only in the agency system but also, as noted above, through some form of written communication back to the customer or prospect. The documentation should include who was present for the meetings, what was discussed, and what was agreed upon. Quality and effective documentation may not be easy and will be time consuming, especially if it is done right. However, it really is that important. How Involved is Your Human Resources Department in Your E&O Culture? 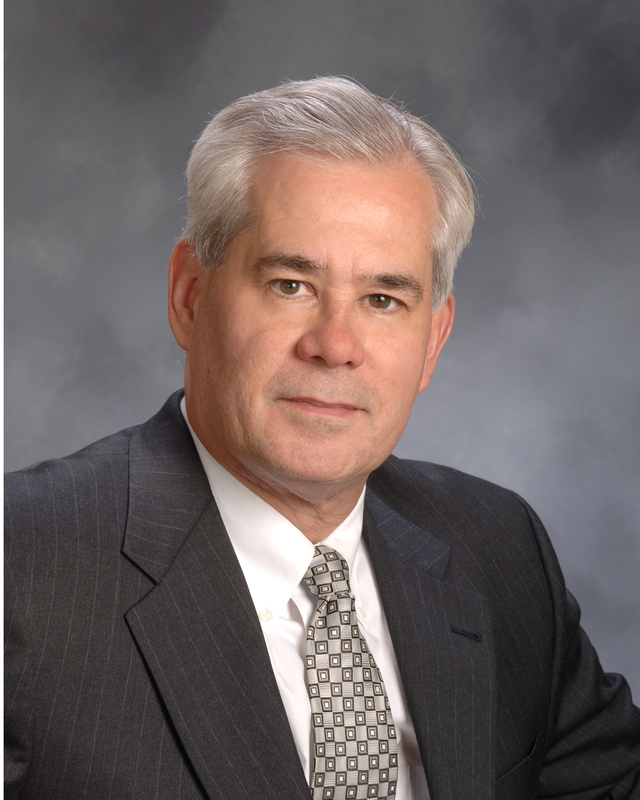 by Curtis M. Pearsall, CPCU, AIAF, CPIA President – Pearsall Associates, Inc. When many individuals in agency management think of errors-and-omissions (E&O) loss prevention, the main thoughts probably center around documentation, exposure analysis, proposals and policy checking, to name a few. These issues, after all, play a critical role – good or bad – if the agency becomes involved in E&O litigation. Ironically, an area that does not receive the proper level of attention is human resources (HR), which should have a much greater role than just the completion of paperwork when someone is hired or terminated, the tracking of vacation days, and the handling of the agency’s benefits program. Because, as the saying goes, “insurance agencies don’t make mistakes, people do,” wouldn’t it make sense to include the area that’s heavily involved in the selection and training of people? Job descriptions. Without these, there may be a disconnect on the responsibilities and expectations of each staff member, with some doing what they believe their job is as opposed to what the actual expectations are. Most management will state, “I just need the staff to do their jobs.” For this to have a greater chance of being a reality, it would make sense to have a document that advises employees on what their jobs are. Ensuring the firm is properly staffed with qualified individuals. Having the right people greatly determines an agency’s success. Recruiting and the identification of “tomorrow’s employees” are vital. Staff training. This is essential and should be an ongoing objective, not just when a new employee starts. There are many training opportunities including courses (electronic and classroom) on topics such as products, technology, sales, customer service, and others. In addition, industry publications are excellent training sources. With constant changes in the industry, the agency should have programs in place to provide the staff with the necessary knowledge and skills. Performance appraisals. The staff needs to grow for the agency to grow. Performance reviews should be done at least annually and contain goals for the following year that enhance the agency’s overall E&O culture. Does your agency have any employees working remotely? If so, HR should ensure that policies and procedures are developed to address situations that may arise with remote workers. These employees are subject to the same standards of quality service as their onsite co-workers. If the agency uses independent contractors to fill any roles, these workers should be managed in compliance with applicable laws and regulations, and there should be a written agreement that details expectations and processes. Agency management should not underestimate the impact HR can have on taking the agency to the next level of E&O commitment. It is more important than many may believe. How Strong is Your Errors & Omissions Prevention Culture? Assessing an agency’s errors and omissions (E&O) risk management culture is easier said than done. While there is no real established formula that provides a grade, there are some valid ways to determine where the agency is on the continuum to achieving a solid E&O prevention culture. Agencies don’t make mistakes. People do. Start with an assessment of the agency’s staff. Does each staff member possess the necessary expertise and knowledge to professionally perform his or her duties? This evaluation should be done for each staff member. The results will help to determine if more training is needed. The insurance industry is constantly evolving with new coverages and forms, so dedicating a significant amount of energy to staff training helps ensure that they have the proper level of education on technical knowledge, systems, sales training, etc. An additional evaluation, focused on E&O prevention commitment, should also be performed. Agencies with employees truly committed to E&O loss prevention have achieved a solid step in the right direction. Each employee should be aware of what role he or she plays and how various functions are to be performed. It is common for an agency with a strong E&O culture to have a written procedural manual. Without it, staff will handle a task the way they want to. Consistency is a key word in designing a strong E&O culture. The potential for inconsistency increases without a manual denoting how the task should be done. A major cause of E&O claims involves the failure to provide the proper coverage, so a strong E&O culture should include the use of exposure analysis checklists. These lists are often referred to as “the closest thing to a silver bullet in E&O loss prevention” and will help an agency to truly know its clients. This evaluation will heavily determine the next steps in the sales cycle. An important yet often overlooked area involves an ongoing review and evaluation of the staff’s job performance. Having the right people and a solid game plan does not guarantee success. To a large degree, the agency’s success depends heavily on whether the staff performs the necessary tasks using the expected procedures. Insurance agencies are fairly complex organizations and, for this reason, they need an internal audit process that periodically varies to what degree staff members are meeting expectations. Without this auditing process, mistakes will occur that can have a significant cost to the agency. The development of a strong E&O prevention culture and commitment doesn’t just happen. It requires a concerted effort from the leadership and every member of the team. An uncovered exposure is typically the number one cause of an Agents’ Errors & Omissions (E&O) claim. Therefore, the more exposures an agency insures, the lower the E&O exposure. While virtually every agency focuses on writing new business, the potential to write additional policies is likely within the agency’s current book. Recent industry surveys indicate that, on average, insurance agencies write fewer than 1.7 policies per account. The average Personal Lines account has 5-6 policy opportunities at a minimum, so there is real potential to write business from within the current book. If you don’t know your agency’s specific numbers, now is a good time find out. Every agency should have account development strategies that include, among other things, a commitment to identify cross-selling and account-rounding opportunities. More effective use of your agency management system will help. For example, how can you determine which accounts your agency has with an auto policy and a homeowner’s policy, but no umbrella? Many agency management systems have the capability to identify these customers. By interacting with and marketing to them, you can write more insurance while at the same time minimizing your E&O potential. A recent insurance survey indicated that over 50% of renters do not have the proper coverage because they believe their landlord’s insurance covers their personal belongings. This is clearly an opportunity to educate customers and write more business. These strategies also provide a greater defense if an E&O claim develops and the customer alleges that you never discussed a specific coverage with them. While not every customer will purchase every coverage suggested, properly documenting discussions and declinations enhances the agency’s E&O protection. Does your agency management system have this capability? If so, is your agency using it to identify gaps in coverage? Many agencies have established campaigns to market to customers who have gaps. This will help to grow your policy count while reducing your E&O exposure. Imagine if your agency added just one more policy per customer over the next year. Remember, too, that the more business you write for each customer, the better your retention will be. Another approach worth considering involves looking for cross-selling opportunities every time your agency interacts with a customer. Some agencies provide customer service representatives with a new business incentive for “rounding out” their customers’ insurance programs. Whichever approach your agency considers means greater growth and profitability. If you asked most agents about the errors-and-omissions risk involving workers compensation, it is a good bet the vast majority would say it presents minimal, if any, real E&O claims potential. In reality, with a number of E&O carriers, E&O claims arising from the sales and service of workers compensation is in the top 5, generating upwards of 10% of all E&O claims every year. This is a line of business to which agents should be sensitive. In most states, the legal standard of an agent is to provide the coverage the client specifically requests. In the early 1980s, the Massachusetts E&O case Rae vs. Air Speed put a slightly different spin on this. The case, which was eventually appealed to the Massachusetts Supreme Judicial Court, concluded that if the coverage at issue is compulsory, an injured third party can assert a negligence claim against the tortfeasor’s agent. As a result, it seems incumbent for agents to know the customers they are dealing with (or looking to deal with) and whether there is a workers compensation exposure that must be addressed. There are a variety of factors that go into calculating and determining the appropriate premium with workers compensation. These include job classification codes, experience modifications, payroll, SIC codes, etc. Insurance carriers expect the application to reflect correct information. The determination of these factors (or the intentional misclassification of these factors) has been a central issue for fraud. It is generally believed that when businessowners seek a lower premium through the misrepresentation of the nature or class of the business, employees’ specific duties, or under-reporting payroll, they are committing premium fraud. Agents must be aware of this to avoid becoming an unknowing participant in any fraud scenarios. Does the subcontractor have workers compensation? 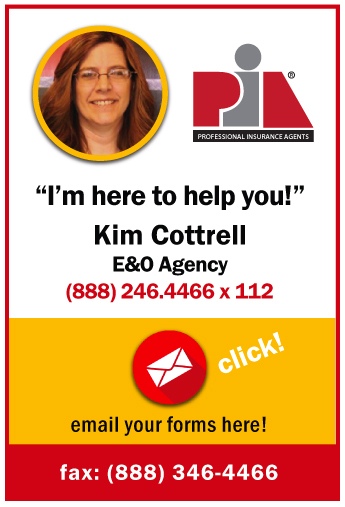 Most agents insure a contractor or two. This class of business poses a number of E&O issues. When an agent writes workers compensation for a contractor, the agent may believe his or her job is done. However, there is significant potential for problems to develop. While the contractor needs workers compensation, it is important the client knows whether any subcontractors he or she hires has workers compensation, too. It’s probably best to verify this via a certificate. If an employee of the sub is injured on the job and the sub does not have workers compensation, the contractor that retained the sub could be deemed to be the employer and have to provide workers compensation benefits. This issue also presents auditing concerns because the payroll for the sub could now get factored in the development of the workers compensation audit, resulting in some significant additional premiums. It is not uncommon for a business to do business in other states. Many years ago, providing coverage for employees in these additional states was handled by the Broad Form All State Endorsement. This form no longer in exists and the industry has developed a new method for handling this exposure. For states in which an employer actively conducts business operations, at the effective or renewal date of the policy the state must be listed in Item 3A of the policy. The remaining states where the employer may, at some time in the future, conduct business operations must be listed in Item 3C of the policy. If an employer begins operations in a 3C-listed state, the standard policy requires the employer to notify the insurance company as soon as work begins. That state should now be listed in Item 3A. There are a handful of states, called “monopolistic fund states,” that require that workers compensation coverage be purchased from the state fund. Monopolistic fund states typically do not have a provision for providing an "all states" provision. Agents must communicate this information to their clients and have a means to identify a change in the business operation, such as an expansion of states. This information should also be included on proposals. If you have a client acting as a sole proprietor or partnership, oftentimes there have been issues as to whether the sole proprietor or partners are actually covered by their own workers compensation coverage. As the agent, you wrote a workers compensation policy for the business, but are the individual or partners covered by that policy? Unfortunately, the discovery of this matter seems to normally surface at claims time when it is difficult to do much about it. Agents must know how their state handles this issue. Some states exclude “this class of employees” and they have to “opt in” if they want coverage. Other states include these employees and they have to “opt out.” Typically, such key decisions need to be made at the inception or renewal anniversary of the coverage. Bottom line, for those clients that you insure that operate as a sole proprietor or partnership, do the key executives know if they are covered? Documentation of discussions centering on this issue should be detailed and memorialized back to the client. When certificates of insurance are completed and the objective is to show evidence of workers compensation coverage, there is a question on the certificate that agents must answer: Any proprietor/partner/executive officer/member excluded? Make sure it is answered correctly because the implications are significant. Is the policy subject to audit? There have been situations where the customer buys a workers compensation policy and receives a significant “additional premium” upon audit. The customer brings an E&O action against the agent claiming he or she was unaware of the audit provision. Agents should ensure that proposals/offerings of coverage include statements detailing any audit provisions. All discussions regarding this issue should be well documented. Workers compensation presents more E&O issues than many agents think. Understand these issues and put procedures in place to avoid any part of E&O litigation. How do you know if the account has a professional liability exposure? Although you can ask the prospect, he or she could be unaware of this aspect of the exposure or may believe his or her general liability (GL) policy will afford the necessary coverage. A great way to start determining if a professional liability exposure exists is through the use of an industry exposure analysis checklist. When placing the general liability exposure, ask your carrier underwriters whether they will include a professional liability exclusion on the GL policy. This will provide some indication that there is a professional liability exposure and that the GL does not intend to cover that exposure. Most professional liability carriers will require a completed application to provide a proposal. The carrier will have its own specific application in many cases, so it is best to secure those necessary apps upfront. As with any app, accuracy is extremely critical. A producer should not look to complete these apps based on the belief that he or she knows the “correct answers.” It is highly suggested to meet with the client, ask the questions and document the answers accordingly. The client should be asked to review the app and, if the responses to the questions look correct, the client should then sign the app. Most professional liability carriers will request the app 30-45 days before the expiration date. There may have been times in the past where a carrier could turn around the app in less time, but don’t count on it … especially in a hard market where the application activity could be on the rise. This is an extremely important part of the process. Professional liability coverage is normally written on a claims-made form. A key aspect of claims-made policies is that it is rare to find two policies that are similar. Plus, the differences can be extremely significant. For these reasons, producers should always secure a complete specimen policy from the market. This specimen policy should be provided to the prospect for review and comments. What activities are covered? A key area for a potential significant difference involves the description of covered professional services. This area must be reviewed by the agency and the client when coverage is being placed initially or being moved to a new carrier at renewal time. Is everything that your client does included? Just because the activity was mentioned on the application does not mean coverage for that exposure is being provided. In addition, every professional liability policy has exclusions, so these should be reviewed by the agency and the client to determine, to what degree, those exclusions are of concern. Who is covered? This issue, typically addressed in the definition of “who is insured,” is a common area where professional liability policies can vary from one carrier to another. The differences can include positions such as the board, temporary staff, former employees, spousal coverage etc. Is there “full prior acts” or a “retroactive date?” This issue is huge and has been a major issue with professional liability coverage. For coverage to potentially apply, the date of the “error or omission” must be after any applicable retroactive date as noted on the policy. In other words, there is no coverage for any wrongful act that occurred prior to the retroactive date. For the customer to have coverage for all prior wrongful acts, he or she should look to secure “full prior acts” coverage. If the professional liability contains a “retroactive date,” this should be brought to the customer's attention and the significance explained. If the coverage is moved to another carrier at renewal time, the new policy should have the same retroactive date as the expiring policy. If the carrier is providing a more current retroactive date, this is significant and potentially extremely damaging to your customer. Don't be misled by the premium differences because chances are the premium will be less because, essentially, the coverage is less. The limits and how they work. Since there is probably no “right” limit for your client, it is best for agencies to provide options for the client to consider. In the world of professional liability, limits are provided on a per-claim and aggregate basis, so options involving both should be presented. To avoid your client exhausting his or her limits because of one claim, it is suggested to provide options where the aggregate limit is a multiple of the per-claim limit. The deductible. Professional liability policies will typically require the policyholder to pay a deductible in the event of a claim. The deductible can involve defense costs and the judgment, or possibly only require payment of the deductible if the client is determined to be liable. This is an important coverage issue that should be reviewed with the client so he or she understands his or her obligations at claim time. The professional liability line of business has generated a significant amount of E&O claims activity. When they happen, they can be extremely large, well into the multi-million dollar arena. Agency staff dealing with this exposure should be well trained on the product and how it works.